Beautiful garden decorations and flowers in front of a lovely romantic house in Cacouna along Highway 132, Quebec, Canada. Beautiful little pond and garden decoration with flowers, Cacouna, Highway, 132, Quebec, Canada, North America. 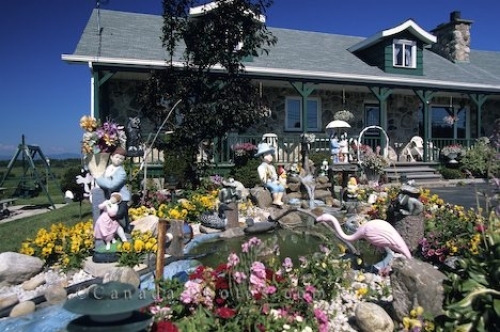 Photo of a beautiful garden with pond and house in Cacouna along Highway, 132, Quebec, Canada, North America.